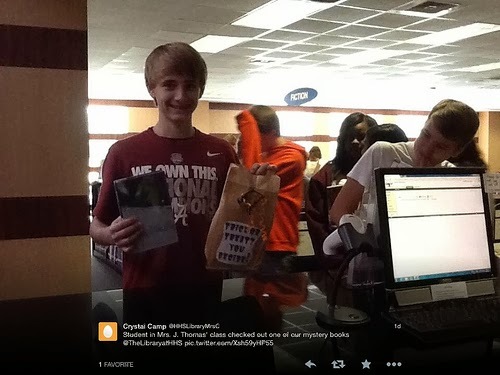 The week of October 7th through 11th, 2013 was a busy one in The Library@HHS but the highlight of the week was our Personal Shopping for Ms. Tew's classes. Last week Ms. Tew, wanting to increase her students reading, asked us to find books that suited the individual interests of her students. Ms. Tew had students fill out index cards detailing the last book they read, their favorite book, TV Show, movies and hobbies. Based on this information Ms. 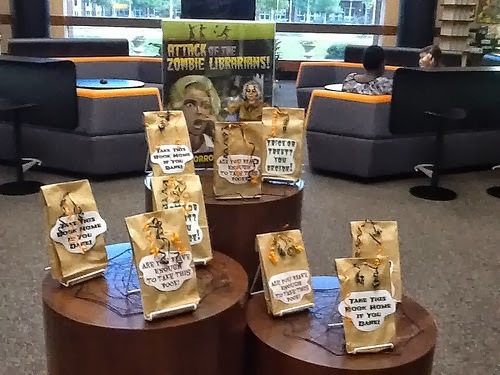 Crystal Camp and I matched each student to three books we thought best matched their interests. 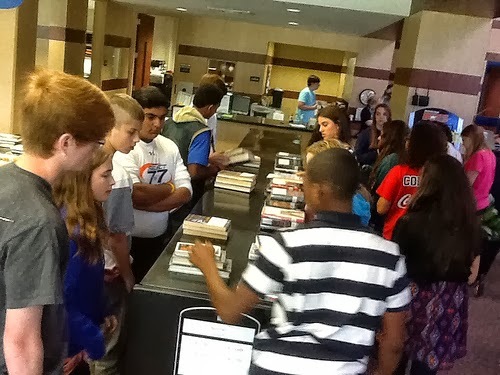 Ms. Tew's classes came to the library on Thursday to see what we had picked out for them. Crystal and I were on pins and needle waiting to see if the students would like our choices. We set the books up on top of the bookshelves, explained to students how we made our book choices. 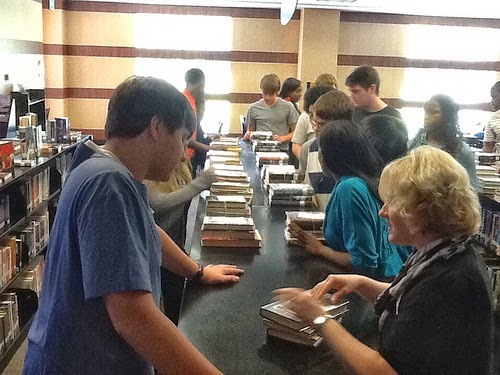 We then set the students loose to find their personalized book stack. 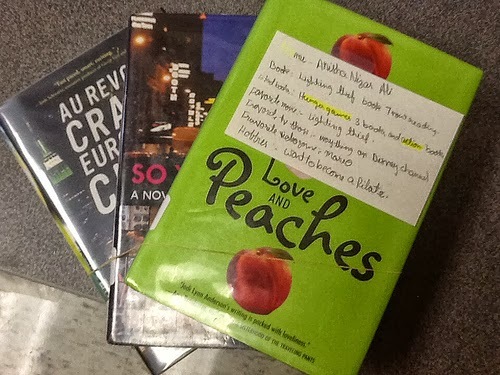 We were thrilled when one student exclaimed, "All three of these books are perfect for me!" 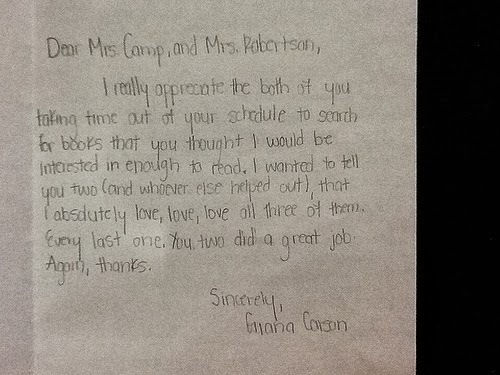 Several students came to Ms. Camp and I to personally thanks us for finding such great books for them. 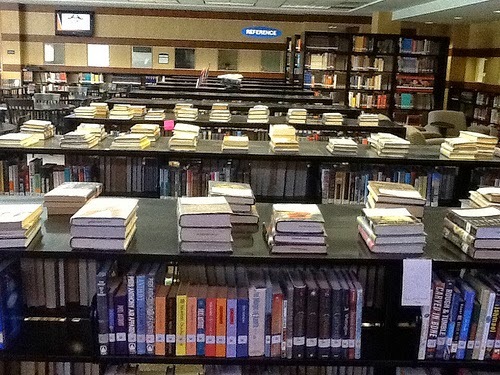 Students could check out 1, 2 or all 3 of the books we chose for them or if we didn't do a good job matching them to a book they could work with us individually to find the perfect match. 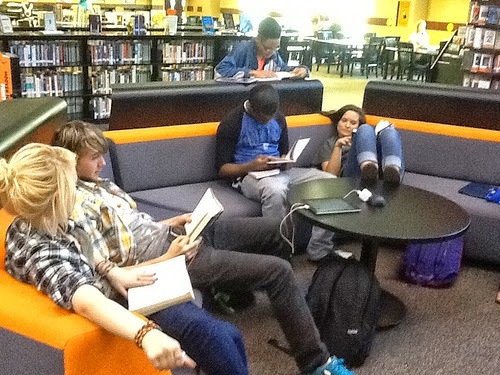 Students ended their visit to the library by finding a cozy place to read their new found book. 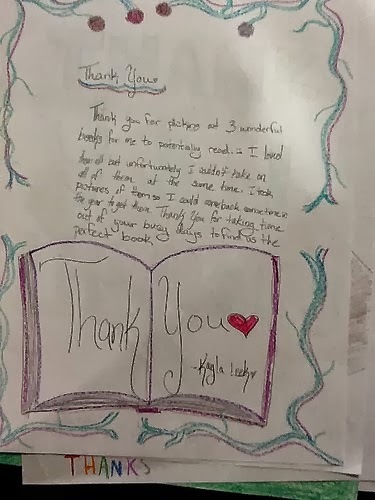 We were delighted when students wrote us Thank You cards but we knew the activity was a true success when they came back to the library telling us about their books and wanting to check out more books because they had spent the entire weekend reading the book we picked out for them. 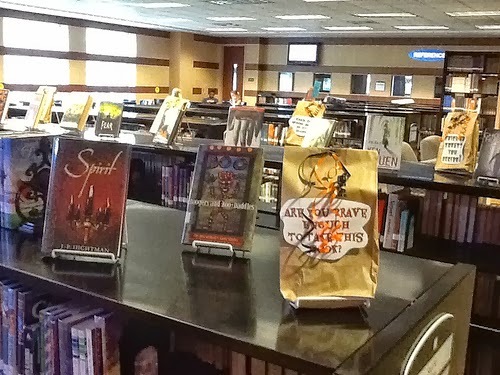 We have already had quite a few brave souls check out our mystery books! Other activities included one on one training with Ms. Glass on how to use Google Drive with the Special Education Department and training for the use of Method Test Prep. This idea would be easy to replicate on any level. I know it must have taken a while to pull the books but oh so worth it when you have happy readers. Will you replicate this activity again with the same kids later?